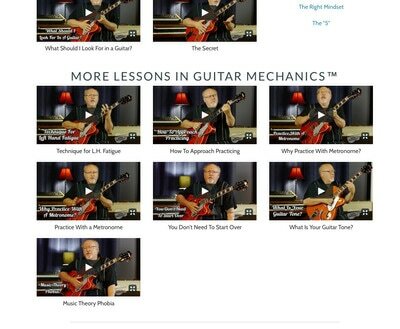 ​learn and play the guitar using the Guitar Mechanics™ method. 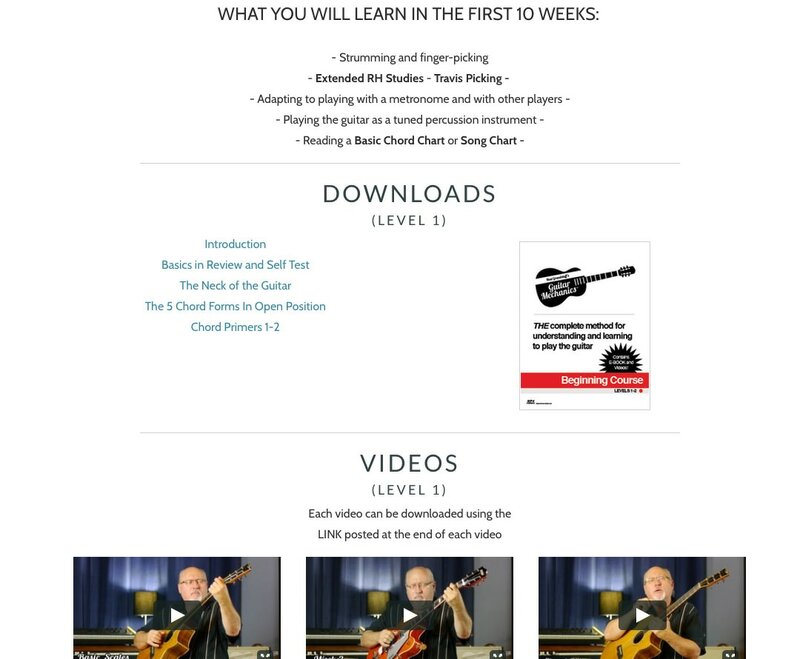 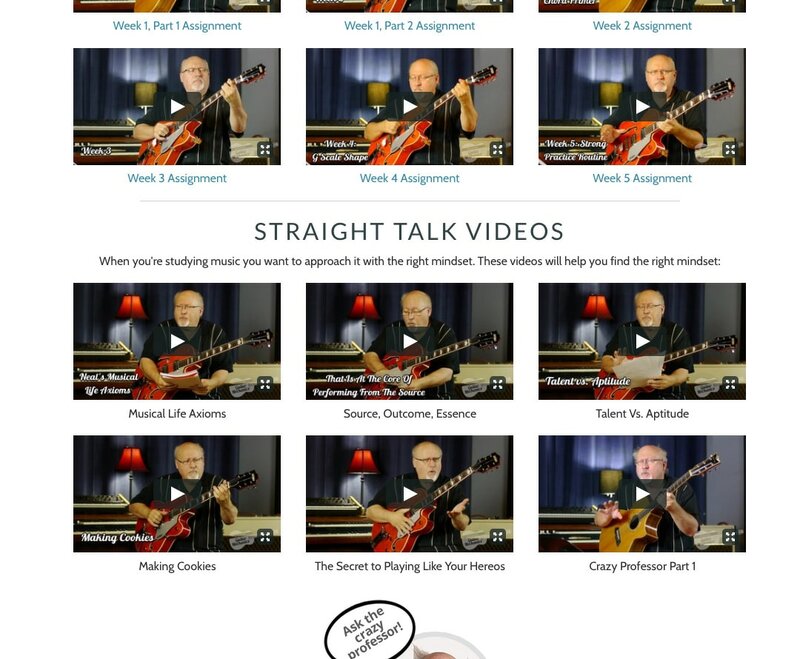 We’re pleased to offer an introductory series of videos and course materials in Guitar Mechanics™ FREE for anyone who wishes to sign up and begin learning the guitar. It’s a great way to try it before you buy and find out why Guitar Mechanics™ is the complete method designed for the serious student. 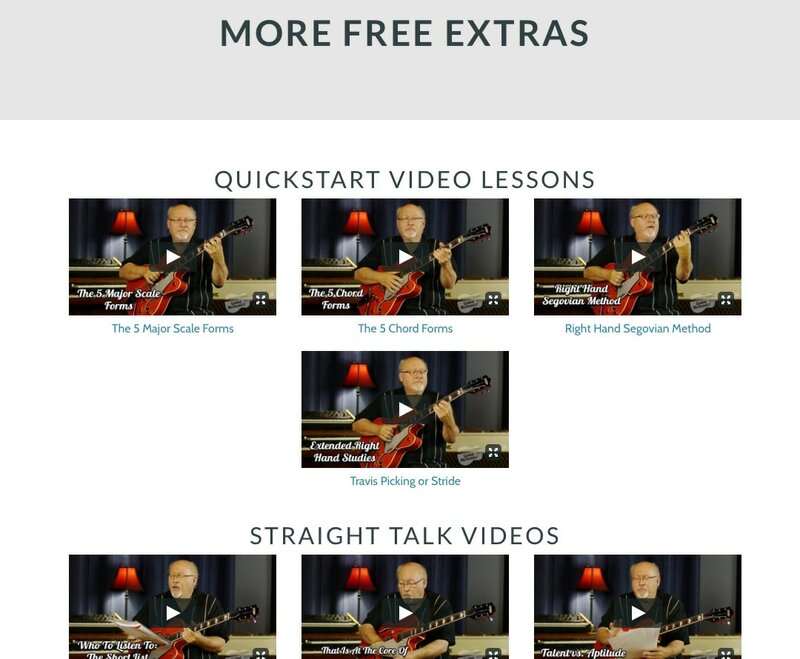 Screen shots from the free member page. Enjoy them all, FREE by signing up for an account. 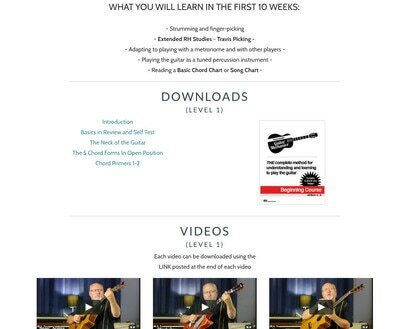 No strings attached!